Starting from October 26 Aeroflot is launching its own regular flights on the routes Moscow — Tbilisi — Moscow and Moscow — Chisinau — Moscow. 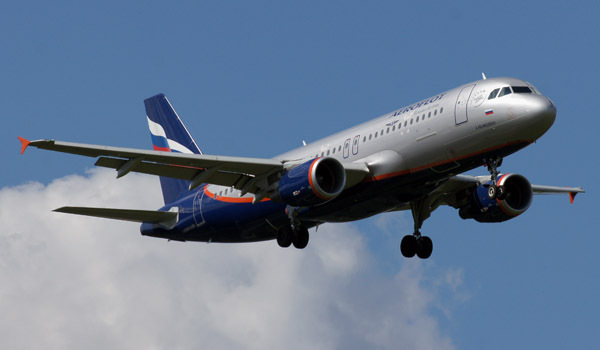 Aeroflot will provide daily flights to the capital of Georgia on comfortable modern Airbus A320 from Sheremetyevo Airport Terminal D in accordance with the following schedule: SU1892 flight leaves Moscow at 23:20 and arrives to Tbilisi at 03:10. Return SU1893 flight leaves Tbilisi at 04:20 and lands in Moscow at 06:05 (local time). Daily flights to Chisinau will be performed on Airbus A320 from Sheremetyevo Airport Terminal D: SU1844 flight leaves Moscow at 22:00 and arrives to Chisinau at 00:25. Return SU1845 flight leaves Chisinau at 01:15 and lands in Moscow at 05:30 (local time).